This trial is not strictly a pro-choice or pro-life trial. It has the potential to be politically charged but I think we need to approach it with humane diplomacy. No pro-choicer in their right mind would stand beside this doctor right now in broad affirmation of his methods. Obviously, if the allegations are true, then he broke the law, needlessly endangered many women, running an unlicensed and health-code-failing clinic, and brought the practice of abortive therapy back about 45 years. Moreover, many pro-choicers sympathize with the pro-life cause but just don’t think a general ban on abortion would be wise or safe for at least some 1st or 2nd trimester cases or some medically risky late-term cases. No one, generally speaking, is supporting willful conscientious murder. Pro-lifers oppose abortion seeing it as murder; Pro-choicers generally oppose abortion, but think it should still be legal, relatively safe, and relatively infrequent such that it isn’t really murder. I won’t quibble about that point now. If you’ve read my blog you know my views on that. How then can we learn from the case of Kermit Gosnell? Let me suggest a few challenge points to be gleaned from this horrific case study. 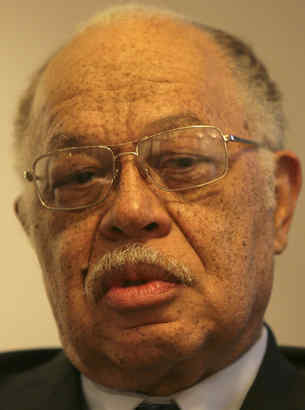 1) Gosnell is a human being–monstrous maybe, but he’s not a demon, or some mere nutcase. We want to distance ourselves from the barbarism done by man, by treating wicked men as if they weren’t even human, or whatever they are, they just aren’t like us. But that distancing effort fails to forewarn of the evil in all of us. Gosnell is a person, a human being, a criminal maybe, but we are not terribly unlike him if we imbibe the same ideas, the same worldview, the same habits, or the same beliefs. In particular, he’s oddly consistent with the pro-choice ideals of empowering women of all economic classes and racial or ethnic groups to do what they want with their body. He went about it in illegal ways, but if human life is not sacred till it’s 9 months gestated, then he was merely messy, not a murderer. 2) Late term Abortions are Infanticide–I do not say that lightly. One must remember that the photos of the Gosnell killings represent a quick and relatively painless method of killing the baby. The normal methods of conducting late-term abortions, where they are/were legal, cause much more pain to the fetus. These methods vary from dilation and extraction (that is, D&E, which tears the squirming baby apart limb from limb), to partial-birth abortion (delivering the baby but leaving the head in the womb, then inserting scissors into the base of the head, opening them to puncture the skull, and suctioning out the brain). Various states have restricted late term abortions or prohibited them, except in cases of medical threats to the mother. Even many pro-choicers sense this truth since late-term abortions constitute viable children where the mother’s is merely the means of food and shelter for growing child. The child would survive outside the women with blankets and a bottle. None of these conclusions bode well for the pro-choice camp. So it is not surprising how poor the major media coverage has been, where liberal and left-leaning opinions have tended to congregate over the years. I’m not accusing anyone of any major conspiracy, but rather a blind spot in major media today. One cannot know what one is missing if all the peers and professionals around agree. Facing the same way they all have the same blind spot. Kermit Gosnell has, allegedly, been exploiting that blind spot for decades and this trial brings to light what never should have been allowed in the shadows in the first place.